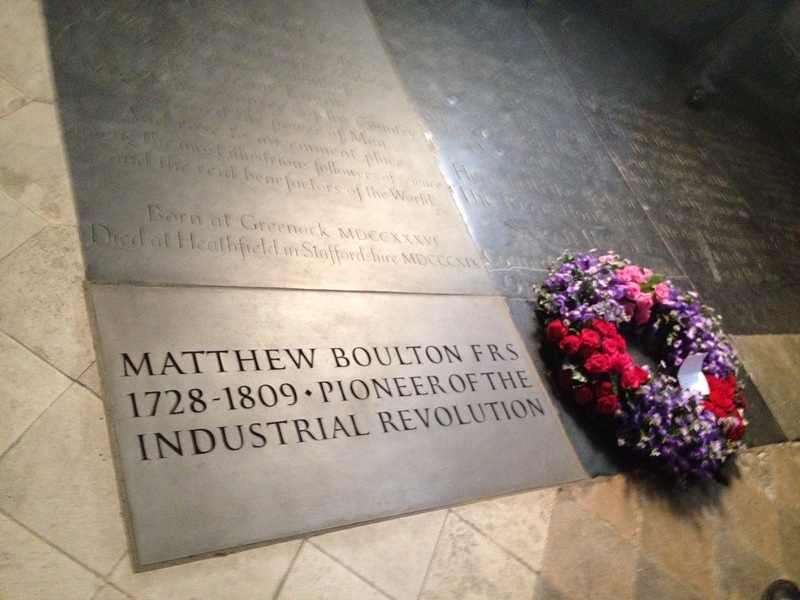 On Friday 17th October a number of us were lucky enough to be invited to Westminster Abbey to witness the dedication of a memorial plaque to Matthew Boulton, the great Birmingham industrialist, 205 years after his death. The fact that Matthew Boulton is commemorated there at all is largely thanks to the tireless campaign by Marion Roberts, chair of the Birmingham Lunar Society (2007 – 2010), who brought to the fore the fact that although James Watt was commemorated in the Abbey as early as 1825 nothing had ever been done to mark the contribution made by his business associate and friend Matthew Boulton. 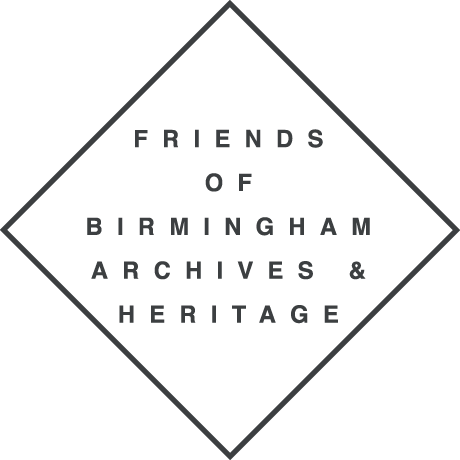 The ceremony was the culmination of a campaign which gathered momentum during the bicentenary commemorations of Matthew Boulton’s death in 2009 and was a great occasion for the City of Birmingham to be represented in Westminster Abbey. The service started at midday and many councillors and Museum and Archives staff were there to join in with the celebrations. The Lord Mayor Councillor Shafique Shah, accompanied by the Lord Mayor of the City of Westminster Councillor Audrey Lewis, led the procession and the service was conducted by the Dean of Westminster, Dr John Hall. A range of faith and community groups were represented as we met to remember Matthew Boulton’s life and contribution to the nation. Sir Nicholas Goodison, former chair of the London Stock Exchange and renowned expert on Matthew Boulton, gave the address in Matthew Boulton’s honour, reminding us all of his many and lasting achievements. The service continued with hymns and prayers and finally to the laying of a wreath on the newly installed plaque by Marion Roberts. The plaque itself was the first in the Abbey to be made from iron and was engraved by a local Birmingham artist, Gary Breeze, using Baskerville font – a fitting tribute to another of Birmingham’s innovators. After the ceremony we were invited to a reception at the Institute of Mechanical Engineers in nearby Birdcage Walk. This was a fitting location, not only recognising Matthew Boulton’s contribution to the field of engineering but also because the Institute itself was founded in Birmingham in 1847. 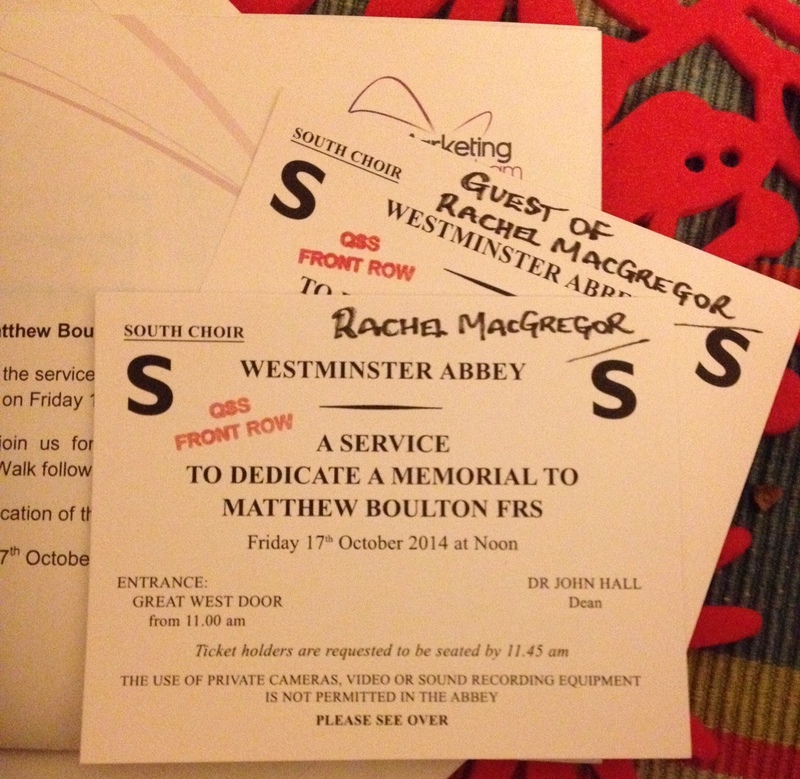 The reception was a more informal environment in which to celebrate Matthew Boulton’s achievements as well as say a big thank you to Marion Roberts for all her hard work in getting Matthew Boulton the recognition he so richly deserved. 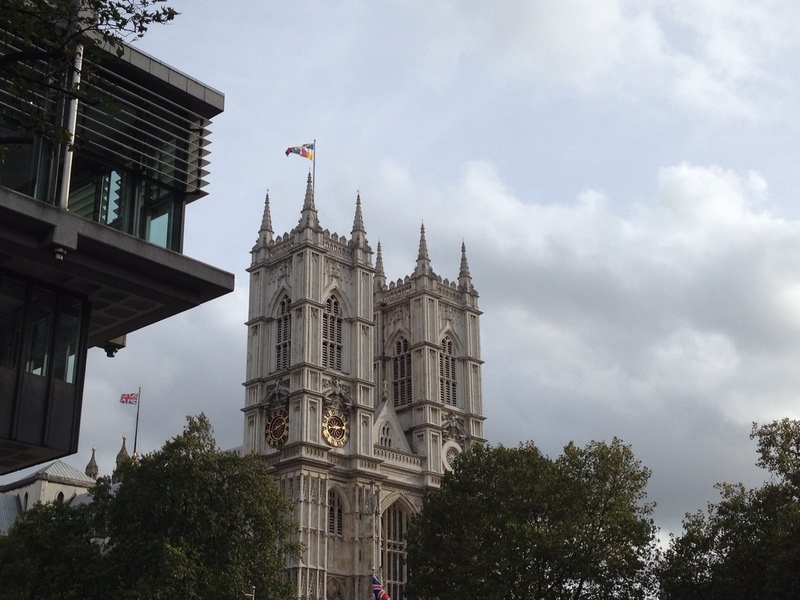 The day was a once in a lifetime opportunity to be part of a civic ceremony at Westminster Abbey and truly a day for Brummies to be proud, seeing the city’s flag flying over central London.